Accessing the eGIS Web Viewer on iPads, field staff can initiate incidents by marking them on an up-to-date map. More than 70 million people pass through Los Angeles International Airport (LAX) in a year. Maintaining situational awareness to manage safety, security, and operations is complex. At LAX, this responsibility falls to the Airport Response Coordination Center (ARCC), LAX’s command and control facility. ARCC oversees field personnel who work shifts 24 hours a day, seven days a week, both airside (past security checkpoints) and landside (public facing). To manage airfield, terminal, and landside incidents and security, the ARCC staff have used situation and video management software from Qognify (formerly NICE Security) since 2011. The Qognify Situator allows LAX to integrate security and operational intelligence—including video surveillance and closed-circuit television (CCTV)—and generate automated adaptive response plans. The Qognify NiceVision Video Management System (VMS) provides ARCC and field staff with remote access to and pan-tilt-zoom control of all security cameras throughout the airport. Until recently, however, much of the collaboration between ARCC staff and LAX field personnel was done manually. Control room staff and fieldworkers communicated information and status updates via phone calls and two-way radios. Field personnel would call or radio in incidents, and an ARCC operations superintendent would then assign technicians via more phone calls or radio communications. All information was conveyed verbally, without maps. In 2012, however, airport officials decided to speed up communication. They envisioned having a common ARCC operating picture that control room staff and field personnel could all access, no matter where they were located. 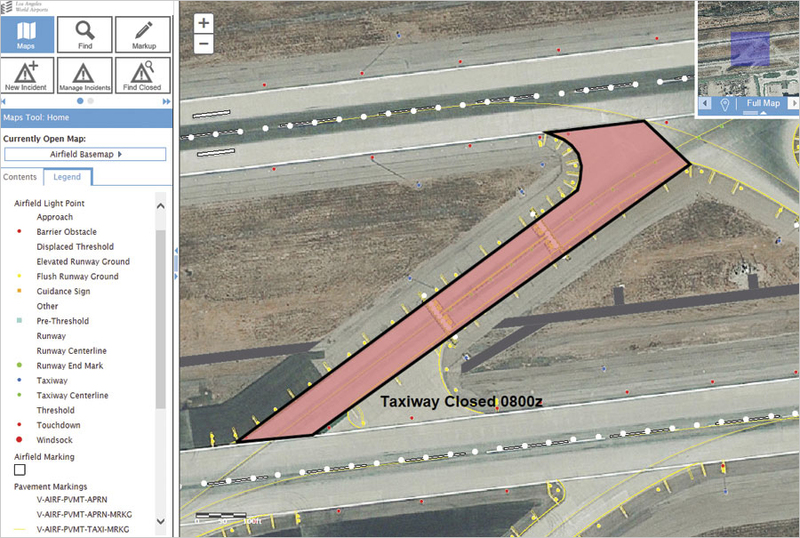 To get this, LAX worked with Qognify and technical and management support consultant AECOM (an Esri partner) to develop a solution that extended its common operating picture. The idea was to leverage LAX’s existing incident management system by implementing ArcGIS for Server, which would allow maps and geographic information to be accessed anywhere, anytime, on any device. After two years of design, in which various stakeholders’ needs had to be taken into consideration, the team created an enterprise GIS program called the Qognify Situator eGIS Web Application. A two-part solution, the eGIS Web Application gives LAX’s prior iteration of the Situator both spatial and web capabilities. The program uses layers that include airport buildings, property, infrastructure, and security sensors. In addition to integrating mission-critical information, the system also works with Esri partner IBM and its Maximo software to manage work orders and AirIT’s PROPworks to handle lease and property management. This gives users a complete picture of any situation. “You can’t separate operational events and incidents from the infrastructure you’re trying to protect or enhance,” said Dom Nessi, deputy executive director and chief information officer at Los Angeles World Airports. ARCC staff access data through the Situator and the eGIS Web Application, which both display visual geographic information in real time. 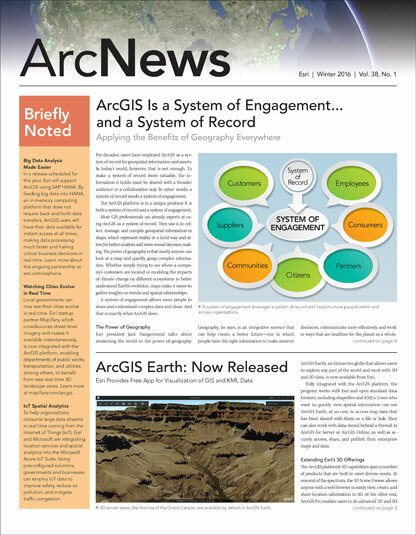 ARCC staff access the data through both the Situator (a desktop map program) and the eGIS Web Application, which display highly visual geographic information in real time. Control room staff use the Situator to manage incidents. Then they extend the control room into the field with the eGIS Web Application. Using the eGIS Web Viewer on iPads, field staff can initiate incidents—a slip and fall, a fuel spill at a gate, a leaky toilet, or a pothole on the taxiway—by marking them on a map in the application. They can then add associated information, such as photos and an incident type. Back in the control room, a collapsible panel next to the map tracks annotations from the field so that, as incidents unfold, ARCC staff can gain insight and engage in spatially smart dialog with field crews. Comments are time-stamped to provide an audit trail of each event. With both applications, ARCC staff can visualize where they need to send field personnel during an incident. If a situation involves travelers, staff can see how to evacuate them or at least get them out of impact zones. To make this work, control room staff share their own real-time map annotations with field crews. The eGIS Web Viewer also integrates all predefined workflows from the Situator so users can pull up specific, preplanned procedures for event response. For an incident in a terminal, for example, field crews can see where to set up command posts; query nearby assets, such as the closest surveillance camera or an underground hydrant fueling line; draw routes; spatially scope accidents (such as fuel spills); and add notes. They can access lease information to view tenants in impact zones, their store hours, and contact information. As fieldworkers move through the steps to mitigate the occurrence, they can use the program to check off each component of the appropriate incident management procedure. Currently, more than 200 airport staff have access to the eGIS Web Viewer across security, operations, property management, information technology, and airport development groups. All airfield operations staff—who received iPad training if they weren’t familiar with the technology—have welcomed the move away from radio communication and phone calls. 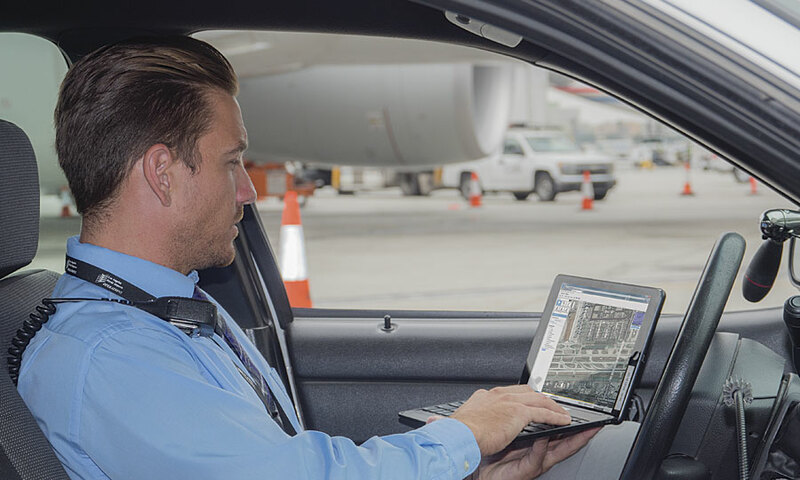 “They have everything they need to respond to a field event at their hands,” said Kevin Carlson, vice president of national aviation technology at AECOM. The app brings daily operations into the airport’s enterprise GIS. This includes normal activities like examining pavement markings or safety areas, as well as emergency situations like wildlife strikes or malfunctioning baggage carts. By using the eGIS Web Application and mobile app, LAX has saved time and money. The airport has enhanced compliance by better documenting event response. And having historical data records has enabled staff to spot trends, such as recurring electrical issues, which helps them implement longer-term solutions. But LAX’s enterprise GIS is no longer just an archive of engineering data. Rather, it conveys critical, real-time information spatially, from the control center to the field and back. With enterprise GIS optimizing daily operations across the airport, allowing everyone from the airport director to the airside fieldworker to stay abreast of operational status, LAX is a leading example of how up-to-date location information can empower rapid response.